Aircraft access to BC Parks and Protected Areas is governed by Section 27 of the Parks Regulations, which states that ".. a person may use an aircraft to arrive at or depart from a Park or Recreation Area.." subject to Schedule A, where it lists a number of Lakes with access restrictions. BCFA members may obtain seasonal pre-authorization for access to many of these restricted locations through a Memorandum of Understanding (MOU) and Partnership Agreement (PA) between BC Parks and the BCFA. This seasonal pre-authorization is available only to paid up BCFA members, through this website. The majority of lakes in the Park system are now open to aircraft access without any pre-authorization requirements. Canadian history is coloured with the exploits of our aviation pioneers, who led the way, opening up the North for those who subsequently settled there, and to the eventual benefit of the visitors of today, who come to enjoy its beauty and its wilderness. The Northward expansion of the population has led to a growth in Government, which combined with lobbying by various groups, has culminated in the proliferation of regulations and restrictions on the freedom of flight into our wilderness areas. This process began in 1990 when Section 27 of the Parks Regulations was amended, stating that for 39 BC Parks and most of the Protected areas in the Province, ".. No aircraft may land or takeoff from a Park without prior authorization from a Parks Officer..." thus effectively placing restrictions on the majority of our traditional floatplane destinations. 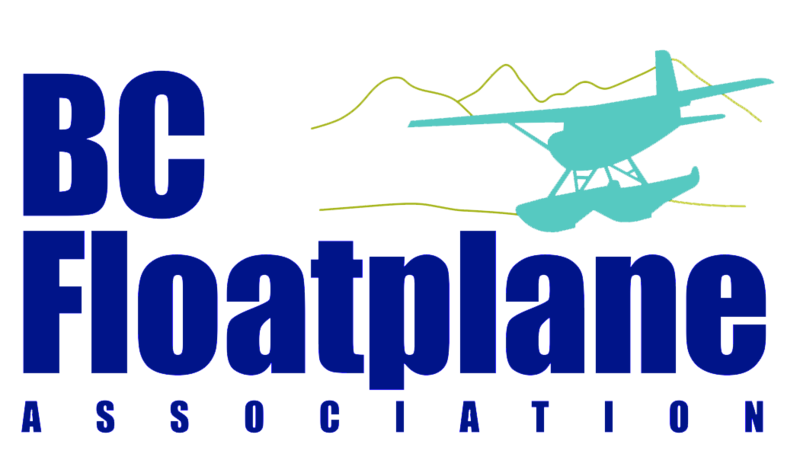 In 1997, the BC Floatplane Association was formed to engage with BC Parks in order to mitigate the effects of this restrictive Regulation. Subsequent dialogue with BC Parks resulted in a Draft Amendment tabled in 2000, listing some exceptions to this Regulation. The proposed Amendment, unfortunately, had many conditions and restrictions, did not cover the vast regions encompassed by Parks and Protected Areas created since 1992, and most importantly, still granted aircraft access through an exception to the Regulation. The 'default position', therefore, remained restrictive. At the same time, Draft Management Plans were being formulated for a number of the larger newly created Parks and Protected Areas. These Plans, while consistent with the existing Regulation, incorporated language which would further erode areas accessible to aircraft. Written pre-authorization from a Parks Officer for each trip into the Parks was not a workable requirement, and anyone familiar with flying the mountanous regions of BC will appreciate the difficulties that this regulation imposed upon pilots. One would be in constant risk of flying afoul of the regulation anytime conditions enroute, or at the intended pre-authorized destination, necessitated diverting to a safer, but unauthorized landing site. The Management Planning for the Stikine Country Protected Areas, the largest new "Super Park", covering Spatsizi, Tatlatui, Edziza, Stikine River, and Chuckachida Parks got underway in early 2001, and given the proposed restrictions to aircraft access in the Plan, urgent intervention was needed in order to ensure that floatplane pilots had a voice in the process. With a mandate from the executive of the BCFA, John Baker and Rod Bianco initiated talks with Peter Levy, Senior Planner for Stikine, in July 2001 in Smithers, BC. Discussions with both Peter Levy, Regional Planner, and Hugh Markides, Regional Manager, were cordial and constructive, however, efforts to incorporate the needed changes in the new Management Plan were unsuccessful, given that Section 27, the existing law governing the new Plan, was still in effect. A Protocol Agreement between Parks and the BCFA was reached, however, in order to address our immediate concerns regarding management direction, as well as to provide some measure of seasonal pre-authorization within the Stikine Country Protected Area. This step was taken only as an interim measure, the primary objective being to address the issues at the Provincial level, and to effect a change to Section 27, including a change in the 'default position'. Section 27 needed to state that "an aircraft MAY land or take-off from a Park", except for a list of sites or lakes mutually agreed upon. This strategy was clearly and concisely enunciated from the outset, and we never wavered from it. The next step was to engage BC Parks, now under the Ministry of Water, Land and Air Protection (WLAP), in a dialogue involving change Provincially, rather than Regionally, in order to avoid having to deal with different regulations, priorities, and personalities between the regions. Negotiating efforts were directed to BC Parks Director, John Block, who had been involved in the initial Section 27 amendment process. Many MLA's, and on more than one occasion Premier Campbell, were persuaded to lend support to our cause. A contingent of BCFA Directors, together with COPA's Kevin Psutka, who made the trek west from Ottawa, also met with Joyce Murray, then Minister of Water, Lands and Air Protection, in New Westminster in April 2003. Minister Murray indicated to us that a review of the Parks Regulations would take place before the end of 2003. Negotiations with John Block, which progressed into 2004, remained friendly and professional, in spite of the fact that there were a number of contentious Regional issues to resolve. John Block deserves much credit for facilitating the process through these difficult areas. Early in the course of our discussions, it became clear that both Parks and the BCFA shared many of the values and concerns regarding access, conservation, and general Stewardship of the natural environment. We were no longer adversaries, but partners with common goals. These discussions culminated in a re-drafting of Section 27, with a negotiated list of exceptions, incorporating input from BCFA members from across the Province. John Block, together with legal counsel Ken Morrison, were then able to present a revised Section 27 Regulation, including a change in the 'default position', to ADM Nancy Wilkin and WLAP Minister Bill Barisoff. The change in Section 27 of the Parks Regulations would read "..Subject to the Act and this Section, a person may use an aircraft to arrive at or depart from a Park or Recreation Area.."
On May 26th, 2004 this change to Section 27 was passed into Law by Order in Council #533 signed by Premier Gordon Campbell and Minister Bill Barisoff. The values shared by The BCFA and BC Parks formed the basis for undertaking a Memorandum of Understanding and a Partnership Agreement between BC Parks and the BCFA, whereby the BCFA, through its membership, volunteered to enhance Parks' ability to monitor and report both natural and human effects deleterious to the integrity of the Parks and Protected Areas. The Partnership Agreement has an attached Schedule listing a number of restricted lakes, referred to as requiring pre-authorization under the new Section 27. Under the Agreement, BCFA members may now obtain Seasonal Pre-Authorization to these locations by indicating to Parks early in the season, which lakes one wishes to access, and report at the end of the season which lakes were visited and activities partaken, together with any observations of note. On June 10, 2004, with Deputy Minister Gord Macatee, and BC Parks Director John Block, Assistant Deputy Minister Nancy Wilkin signed the Memorandum Of Understanding and the Partnership Agreement on behalf of the Government, with John Baker and Rod Bianco signing for the BCFA. This was a special day for us and for the BCFA, as it marked the culmination of nearly four years of effort in arriving at this point, and salutes the founders of the BCFA, Myron Olson, Bill Davidson, and Nick Christiansen, who in 1997 founded the BCFA in order to bring some sense to Section 27 of the Parks Regulations. This heralds a new beginning in the relationship between BC Parks and the BCFA that will be of mutual benefit, and will ultimately bolster the Stewardship of our Parks and Protected Areas, so that future generations will have the same opportunities of visiting the Parks that we care about and enjoy today.